Name: Li Ma, but better known as Ma Li – the Chinese put family name first to show respect to our ancestors. 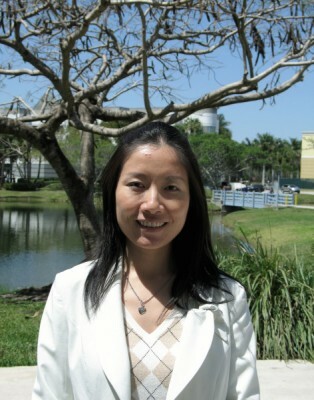 In a nutshell: I teach Chinese and about Chinese culture to graduate and undergraduate students; coordinate and promote the FIU Chinese program; and organize an annual Chinese speech contest, Chinese proficiency test and summer study abroad program in China. My students. They somehow manage to make me smile even on a bad day. What do you think students and your fellow faculty/staff should know about your department? That we have extremely hard-working faculty to ensure the success of our students. My office. It has to be because you can always find me there. What is one thing you wish everyone knew about FIU? It’s a great place to teach. I was happily engaged in February. All family, relatives and childhood friends are in China. Word that best describes you: Teacherly. I often can’t help but start a sentence with, “You should…”. First paying job: This one. Favorite TV show: Curb Your Enthusiasm. I think we’ve all had a Larry David moment or two in our lives. “All the Right Moves” by OneRepublic. I will complete my doctoral degree this August. Entertaining or being entertained by friends. Watching movies. Keeping fit.